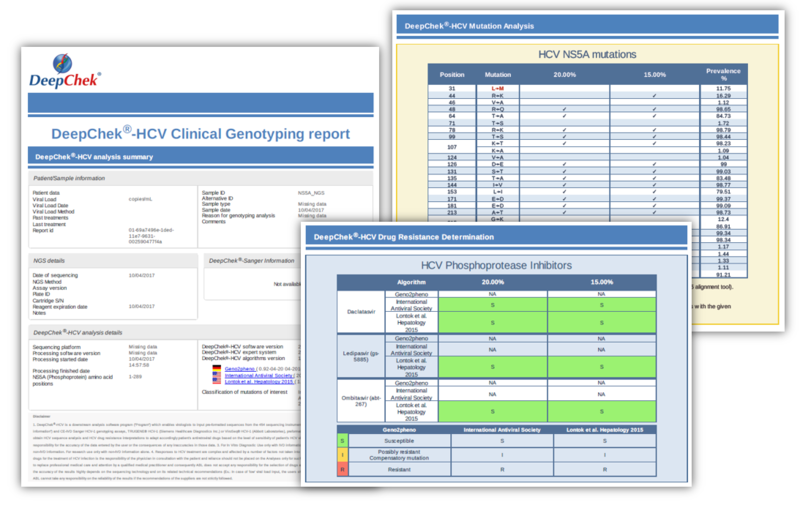 The DeepChek®-HCV NS5A DR Assay (K-16-NS5ADR) is intended to be used for HCV drug resistance assessment. It provides drug susceptibility information for viral NS5A inhibitors. It combines target-specific PCR reagents with in vitro diagnostic software both compatible with either Sanger or Next Generation Sequencing platforms. For genotype 2 samples, in case of failure, please use the K-17-NS5ADR-GT2 Assay. 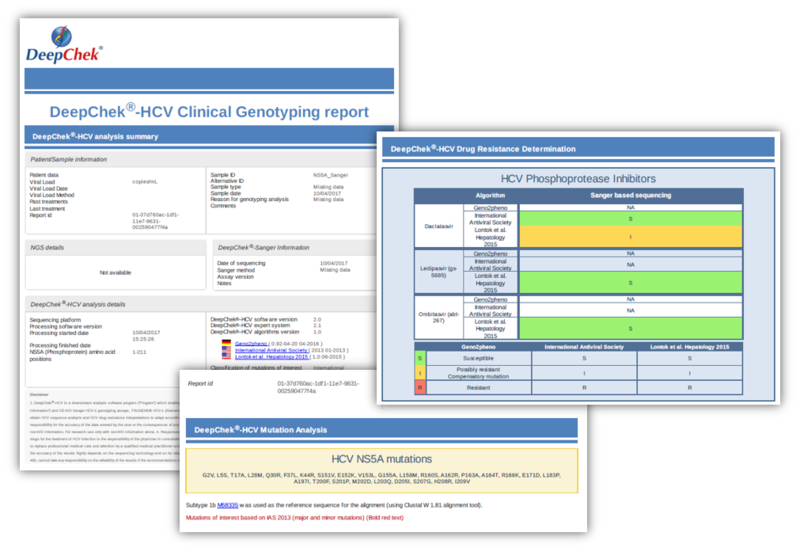 EASL Recommendations on Treatment of Hepatitis C 2016: “Physicians who have easy access to a reliable test assessing HCV resistance to NS5A inhibitors (spanning amino acids 24 to 93) can use these results to guide their decisions, as specified in these recommendations. The test should be based on population sequencing (reporting RASs as “present” or “absent”) or deep sequencing with a cut-off of 15% (only RASs that are present in more than 15% of the sequences generated must be considered)”.